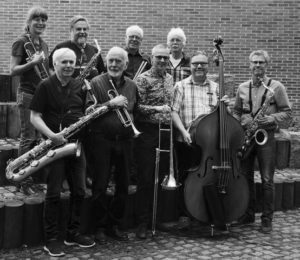 Staffan Öberg Nonet is a jazz orchestra from Umeå, Sweden. The band was formed in 1980 and regularly plays at the local jazz club Umeå Jazz Studio and at the annual international Umeå Jazz Festival. The orchestra has performed at many scenes in Northern Sweden and Finland such as Holmön Sea Jazz and jazz clubs in Umeå, Härnösand, Sundsvall, Skellefteå, Piteå, Jakobstad and Vaasa. The band has a special affection for the music by Charles Mingus and many of his compositions are found in the repertoire together with tunes from other giants like Miles Davis, John Coltrane and Wayne Shorter. Several members in the band arrange and compose and give the repertoire a unique character. At this website you can read more about the band, check out upcoming and previous gigs, listen to some of our music and order our albums. Photos on oberg9.se by Gerd Ulander, Kicki Malmberg, Stephan Nord, Kenneth Ögren, the band members and others.